Two years ago today, I decided to start a blog. It started off as a fun hobby, but quickly progressed to so much more. Now it's my hobby and my job. It has also become my platform to curate resources for other hyperlexia parents, which has been both fun and encouraging. I especially want to thank those of you who have messaged me via email or on Facebook to share your stories about hyperlexia. Your stories have made me smile and helped me confirm that my decision to share our story was indeed what I needed to do. To think that I have actually helped other families around the world by sharing my story is absolutely heartwarming. Even if writing about it was emotionally exhausting. So I may have started out blogging about fun kids activities (and still do! ), but last year proved to me that I was meant to do more. To write more. To share more about my struggles and triumphs and teeny tiny victories like this in hopes that I could connect with other families. I have certainly found my voice. So thank you for listening. Or I guess reading would be a better word. Since my daily life is immersed in what I lovingly refer to as "number hell" - thank you hypernumeracy for that - I thought it would be fun to share a bunch of my favorite posts from the past two years in groups of two. But before I do, I also want to celebrate two huge achievements from my blogging career. First, I published a book, which was a childhood dream. Second, I reached 200,000 followers on Pinterest and even got paid to pin something on Pinterest. That's cool, right? Okay, let's celebrate two years! Ready or not, here are two posts, two posts, two posts, two posts, two posts...I think you get the idea. This Is Hyperlexia - It took me 2-3 months to write this post. I Miss Her - Still cry every time I read this post. Homemade Light Bright - Only -40 C and some 1430 holes later...but hey, it was featured on Apartment Therapy so that's cool! Two Posts that Might Help You Get 200,000 Pinterest Followers Just Like Me! Two DIY Projects That I LOOOOOOVE and You Should Too! Simple Toddler Busy Box - Choking hazard police came out full force on this one! Two Posts That Show Funny Faces Never Get Old! Two Posts That Put And Next Comes L in the Spotlight! Two of My All Time Favorite Posts! Is that too many? Or should I say "two" many? Anyway, you're awesome. I'm awesome. Here's to even more awesome in the future! 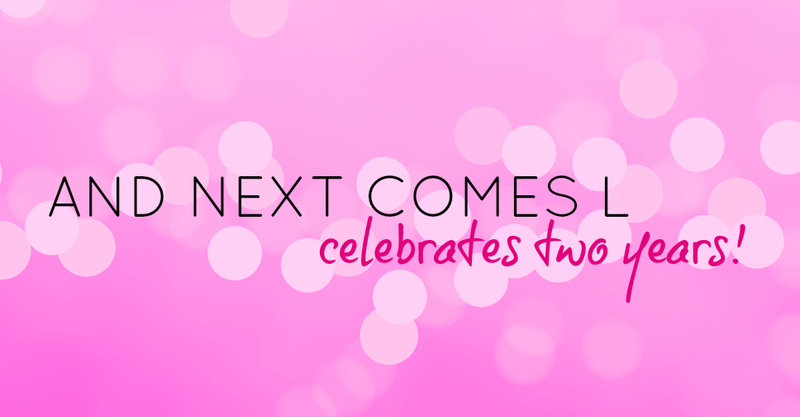 What an awesome way to celebrate your second year blogging! Can't wait to check out some of the posts I missed. And, thank you for the hyperlexia post -- I passed it on to my sister who is working with a child who is fascinated by all things letters, and she was able to pass it on to his parents and teacher... It was an eye opening moment for them all. That's wonderful! Thank you so much for sharing my hyperlexia post with them! Loved reading this! You ARE awesome! Happy 2 years!